← Do you Know About Chemo Angels? 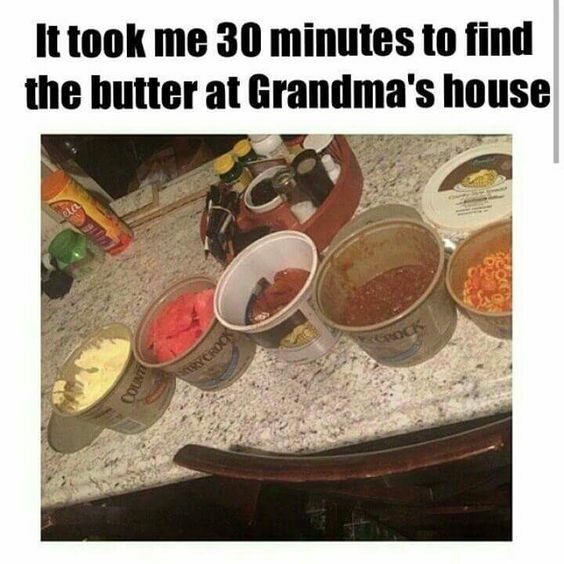 The photo below reminds me of my dear Mom’s fridge with her re-purposed margarine containers. How I miss her! “Jesus, You are the satisfaction for every deep longing in my heart. I am nearing the end of a ladies Bible study at church, “Finding I Am” by Lisa Tykerst. Here is the intro and first chapter free on line if any one is interested in checking it out: https://s3.amazonaws.com/p31obs/Finding+I+AM/Reading.pdf, A big kudos to my friend Karen who does such an awesome job facilitating the study. She’s is such a fun, funny, loving, kind, caring, and thoughtful person who keeps us laughing. Thanks for being wonderful you, Karen! It’s been a great time of fellowship with other women and I’ve learned some neat things about God in the study: a blessing to me. Thank you, Paula! This study has been a huge gift from God that has blessed my life as well. I’m thankful for the opportunities from God to be able to be a small part of His work!!! He definitely gets all the credit for inspiring such an amazing study. I have loved “Finding I AM”! Me too, Karen! Thanks again.